Taking off during the weekend for a fishing trip is an exciting way to unwind. However, a good fishing experience requires the use of several gears, from hooks to bait and most often, a good mode of storage; which tends to be a significant problem for many people involved in fishing. The good news is that, with the help of a quality fishing backpack, your fishing adventures can be made easier as they come complete with various compartments for all your fishing gear. Keep your valuable equipment in one safe space by choosing from our list of the best fishing backpacks below. The Wild River Nomad is a fishing backpack recommended for both fishers pros and those who love to fish as an occasional hobby. This bag features an LED light system that enables you fish at any time during the day or night and also illuminates the bag to help you find even the smallest of items when natural light is low or not available. The interior of this bag can be converted into a larger space by the removal of its upper storage divider when larger items need to be stored. The Nomad Lighted Backpack is every fisherman’s dream, as it can hold up to four number 3500 trays and six number 3600 trays. You can quickly view all items stored in this bag through its internal and external mesh pockets that also protect your things from the rain with their rain resistant fabric. Be sure to also check out our guide to the best hunting backpacks for more great items like this. 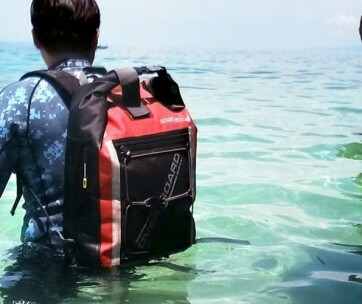 Experience fishing like never before with the Piscifun Fishing Backpack by your side. This bag is crafted from high-quality nylon fabrics which are extremely water resistant and also have high density. Each bag manufactured was made with 86 unique sewing procedures to offer toughness and durability that can be compared to none. Features of the Piscifun backpack include a protective rain cover, a hard molded case for your fishing sunglasses, SBS zippers and an affordable price. Its shoulder straps are adjustable, padded and breathable to offer you maximum comfort whenever you wear it. You’re also covered when fishing at night, thanks to its reflective strips that make you visible to others around you. The Piscifun backpack is an ideal choice for every angler. The second cross body bag being featured in our list is the BLISSWILL Outdoor Tackle bag, a backpack made for various functions as needed by fishermen. It can be worn at your back, shoulder or hand, thanks to its detachable and adjustable straps. The BLISSWILL backpack is also made from high-quality nylon fabrics which are also resistant to water. They also feature a full-length double zipper and a unique triangle shoulder strap design for convenient and comfortable wear during short periods of time. The interior of this waterproof backpack features multiple storage pockets and compartments where you can keep items such as fishing boxes, pliers, your keys, lures, and all other fishing accessories. This backpack isn’t only amazing physically, it is also environmentally friendly and non-toxic, making it extremely durable for long periods. With a lifetime guarantee, the Spiderwire Fishing Tackle Backpack is an ideal bag created for anglers who love to trek or search for new fishing spots. These are those who require maximum comfort and convenience, not forgetting adequate storage spaces for all their fishing gear. The bag is divided into three compartments, and one is for all your personal items, another provided to secure your utility boxes and the last one, the more cooling compartment, which stores all your bait, drinks and food for whenever they’re needed. The lower chamber of the Spiderwire backpack can hold up to three medium-sized utility boxes. Other features include side zippered pockets, an organizer compartment, a foam molded sunglasses case, fishing tool holder and a flat bottom which allows your bag to sit without support. For more great bags like this, check out our guide to the best external frame backpacks. The Piscifun Water-Resistant Outdoor Tackle Bag is an innovative fishing backpack designed after thorough study to ensure that it offers more durability than all its competitors. It is a bag crafted with high-end equipment for safety and high-quality nylon fabric for durability. It features an SBS zipper and KAM buckles that are indestructible as they are abrasion resistant. There are two shoulder straps made available to users, and these straps can be adjusted or detached depending on the reference of the user. This makes the bag multifunctional, as it can be worn as a chest bag, handbag, a tackle backpack, or even a travel backpack. The interior of this crossbody bag provides you with enough space to store all your gear, from electronics to lures, books, house keys, your wallet and all other necessary accessories. The Blackmoon backpack from Shimano is a great fishing backpack with rod holder and also one of the innovative solutions from Shimano after 80 years of constant research and engineering. Shimano is responsible for the production of various high quality and highly functional processes and products that are extremely handy for today’s use. This backpack is an ideal option for any angler who prefers to go fishing on foot. It is crafted from a durable and heavy duty textured fabric that makes it a candidate for a long life. 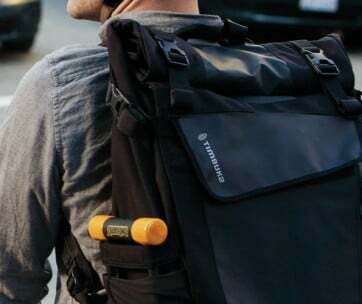 To reduce fatigue in wearers and also offer them incredible comfort, the Shimano tackle backpack with rod holder is equipped with thick padded shoulder straps. Anglers are also given easy access to all their storage items with the various zippers found at the side and front of this great backpack that makes a perfect gift for fishermen. You can now have all your fishing gear within range, thanks to the Anglatech Fishing Vest! This product keeps all your gears at your fingertips, reducing the need for you to always reach into your tackle box or bag. This fishing vest helps keep all your items organized and your gear quickly within reach all the time. It features an adjustable waist and shoulder straps that ensure you have a perfect fit, with a breathable mesh back that encourages the free flow of air, keeping you dry and fresh during your fishing expedition. Aside from its high level of comfort and flexible nature, the Anglatech is made with premium materials that make it a lightweight vest for all avid fishing lovers and fishermen. Our guide to American made backpacks features more great products like this, so check it out. Protect all your belongings from all natural elements by getting yourself a Chaos Ready Waterproof bag. This bag offers users protection from quick submersion, and any form of water damage be it a drizzle or a downpour. Your Chaos Ready bag can if accidentally dropped, float on the surface of the water. This product is constructed by professionals from heavy-duty cloth which makes it extremely lightweight and foldable. Despite its flexibility, this bag is also durable and can withstand anything you throw at it. Some of the features identified with this bag are its slim form, two side pockets made from high-quality mesh and space for your water bottle, helping you stay hydrated all day long. The main compartment of this bag comes with a unique tri-fold system which is user-friendly where you can store valuable items, from your fishing watch to rods, even fishing shoes. Also, every purchase comes with a lifetime guarantee. 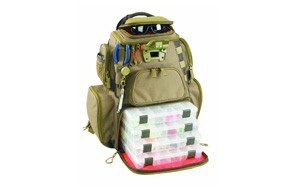 The Wild River Multi-Tackle backpack is a well-thought of and professionally crafted bag geared to fishing. It’s aesthetically pleasing and spacious enough to hold all your fishing essentials and then some. With the presence of a removable divider, the interior of this backpack can be transformed into a larger storage space for your bigger gear. For the perfect fit and ultimate comfort, the shoulder straps of the Wild River backpack have been designed to be adjustable and padded. If you’re going on a multi-day fishing trip, especially by road, this backpack features a clear internal pocket in which your license, maps or hunting GPS can be stored, without them getting wet. During your fishing sessions, the front pocket cover of your bag can be folded to provide you with the perfect work surface. Don’t forget to also check our guide to the best fishing shirts. Another brand on our list of one of the best waterproof fishing backpacks is the Fiblink Single Shoulder Backpack. This tackle backpack is one fantastic bag built from water-resistant and heavy-duty nylon construction and is covered with a waterproof coating that increases the level of its durability. This bag features a high-density ribbon that is designed to improve the resistance of the product to abrasion and tear. Other features include a breathable back lined mesh and widened shoulder pads for fatigue relief and comfortable wearing, smooth and durable SBS zippers, exterior pockets and multiple interior compartments, a pole bag and a space for your water bottle. This well-crafted tackle backpack is ergonomically designed to keep you and your gear safe, secure and comfortable no matter where your love for fishing takes you. Don’t forget to also bring your fishing net! Kingdom Multifunctional Fishing Backpack is a fishing tackle bag that combines fishing storage with everyday essentials room, making it the best of its kind on the market. 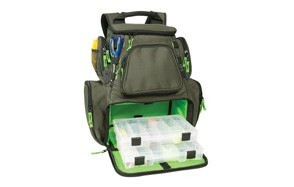 This bag is formed as a response to the many needs of several anglers who hold fishing in high esteem. With knowledge on the importance of a fishing bag to fishermen, Kingdom has designed a backpack that has enough storage space and easy access, helping you find whatever you need without any hassle. This lure backpack is made up of a handbag, mobile phone bag, shoulder bag and unique detachable bag meant for all your various needs. Some of the features added to this bag to make it highly functional are its 3D decompression ventilation which relieves shoulder fatigue and ensures comfort whenever the bag is worn. It also has multi-story compartments that enable you to store various items, from lures to poles, pliers to fishing boxes, hunting knives and any other accessories you need to keep secure and organized. Calissa Offshore Tackle backpack is a spacious backpack made to help you say organized during your fishing trips by holding onto all your most excellent fishing equipment. With a rugged yet breathable design, this tackle backpack has been intended for the professional fisherman and promises to help them stay ahead of all their changing fish needs and the weather’s mood swings. This bag stays true to its purpose no matter the fishing condition it is being used in. From ice fishing to saltwater fishing and even freshwater, the Calissa is a bag made from ultra-durable fabric to hold all your essential fishing gear, from lures to bait, line weights to fishing lines, and worms to bobbers. The compact and lightweight nature of the Calissa tackle bag makes it comfortable to keep on even during casting or while you swap out a bait. 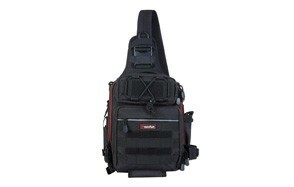 Don’t forget to also check out our guide to the best CamelBak backpacks for more great bags like this. Brand - There are many brands and manufacturers of the best fishing packs on the market. In curation, this selection, a combination of well-known and lesser-known brands was compiled to provide readers with several options. 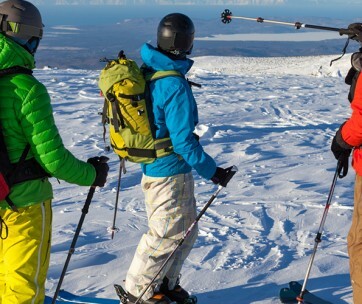 Quality - Quality was analyzed regarding materials and construction methods employed when creating the best tackle backpacks. All bags selected are made from high quality and durable materials that ensure their longevity. Durability - Our selection also paid attention to the strength of the fishing pack. Durability saves you from continuous spending on either repairs or the purchase of a new bag altogether. Reviews - Before the creation of our list, we looked through all reports on the various fishing tackle backpacks, analyzing each into detail to provide you with only the best of the best in the market. Price - We believe that our list must appeal to all markets and budgets; thus, we were mainly in the creation of this selection, providing quality bags that are affordable for everyone, no matter their budget. All fishing trips require different needs and gear thus, not all fishing backpacks will be suitable for you. This isn't the case for only fishing but with all other products, which is why we've provided you with some things to consider before your next purchase. Weight - The weight of your fishing backpack is mainly dependent on the brand and how long you're going to wear it. You can opt for lightweight bags if you love walking or trekking to your favorite fishing spot, or a heavier option if you are less likely to be seen carrying your backpack for long periods of time. Storage Space - The best fishing bag is one that offers you with several storage compartments, specially designed and designated to your various types of fishing gear. It is a bonus if your backpack provides you with space for your electronics and other non-fishing valuables. You will also need space for your sunglasses and extra lines in case of an emergency. Comfort & Support - One of the most vital points every fisherman pays attention to is the comfort when it comes to searching for the perfect bag. Comfort means there is less struggle while carrying this bag around, especially if it's for more extended hours. Support is provided through the type of material, and design of the shoulder straps. Water Resistance - Fishing is almost synonymous with water, and as such, your backpack must have a high water or weather resistance. If your bag is made from waterproof materials, you don't have to worry about your valuable items getting soaked. Apart from waterproof bags, some bags are made to be mudproof which prevents the onset of mold or the hassle of cleaning. Zippers - Make sure you opt for bags with waterproof zippers. Many bags are made with waterproof fabric, but their zippers do not prevent the entry of water into its interior. Look out for zippers made of anti-rust materials like stainless steel. Straps - The straps of your fishing bag must be designed to give you with ultimate comfort no matter how long you keep the bag on. Look out for breathable mesh or padded straps, as these will ensure comfort and convenience. Pockets - The locations of pockets on a fishing backpack must be done smartly to provide you with easy access, without water being able to enter quickly. Q: Who needs a Fishing Backpack? A: Fishing requires a lot of tools and supplies. For a successful and enjoyable fishing trip, there's no doubt that a useful tackle storage and organization system is necessary or a successful and enjoyable fishing trip. Q: What Should I Pack In The Fishing Backpack? A: The trick to avoiding excess weight on a fishing trip is to pack only the essential fishing gear you need. Q: Why should I bring a pocket knife with me on a fishing trip? A: Having a solid tactical knife at hand is very vital to fishing; thus, having a folding pocket knife is an excellent idea as it can help in the cutting of extra line. Q: Why are polarised sunglasses a must-have on a fishing trip? A: To reduce the amount of glare your eyes have to endure while you fish, especially during, the day, having a polarised pair of sunglasses is very important. It also helps you see through the water to identify fish that have been made invisible by glare. Q: Why should I pack a waterproof bag inside the fishing backpack? A: Having a waterproof bag in your fishing backpack reduces the chances of your gear getting wet. Even though many bags are designed to be waterproof, their fabric has a water-resistant capacity limit beyond which water can easily seep through. Q: Is it ideal to pack shelter and sleeping bags on my fishing backpack? A: Packing a sleeping bag on a fishing backpack is allowed, especially when you're going for multi-day fishing. Everybody has to sleep; thus, there's absolutely nothing wrong with keeping your sleeping bag near.